How can I get this border gone on my decals?? The problem seems to be in the metallic property. After lowering the metallic property by .2 the borders were gone. I have no clue why that is. Any Idea? 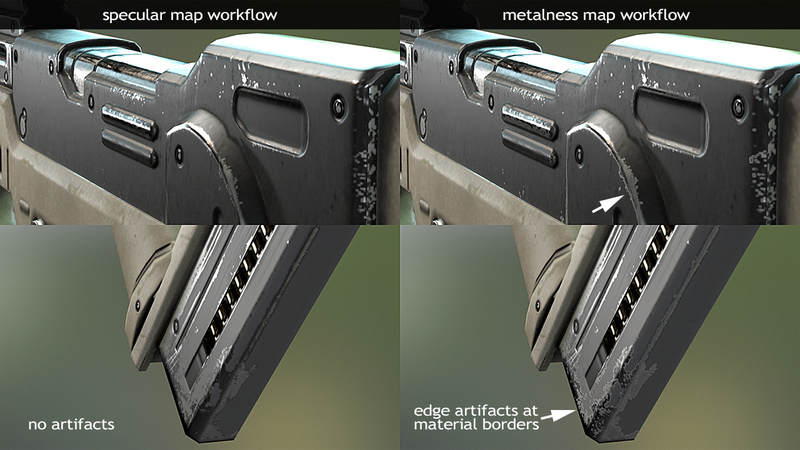 Metalness doesn't respond well to transitions between metal and nonmetal surfaces, it's just an artifact of the metal/rough PBR workflow. Nothing you can do about it without modifying engine shaders. Just try to have the transition be as short as possible on that channel to reduce the problem a bit. [SLATE] SExpandableArea Image, Hover, etc.